Wrap your baby in Pampers Swaddlers Sensitive diapers, our best care for skin. Swaddlers Sensitive diapers are gentle and hypoallergenic to help maintain baby's healthy skin. Our Blankie Soft diaper helps keep your baby comfortable. It also has a wetness indicator that lets you know when your baby might need a change. Finally, we make sure your baby's delicate belly is protected with the contoured umbilical cord notch. 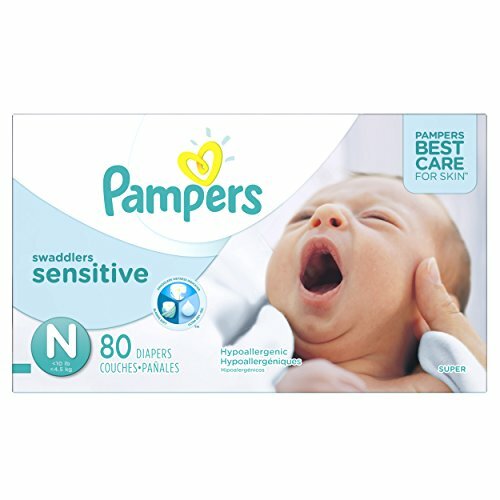 * Pampers Swaddlers Sensitive diapers are available in sizes NB–4. *Available in diaper sizes NB–2.